Jimeoin is back to make us laugh again, and he’s still not too classy to do his own introduction. He struts his way on stage to Donna Summer’s disco hit ‘Hot Stuff’, just as he did last year. Why not? He knows what works. I warn you that some of my review may be familiar if you’ve read last year’s. Jimeoin made a similar warning about his show — so if it works for him, it should work for me. Jimeoin’s observational style of comedy usually keeps clear of topics that could be considered controversial, or even educational, but this year he actually steps into the subject of the time of year, Lent. However, mostly it’s just the comfortable nostalgia and silliness we have come to expect. Jimeoin delves into the mundane for his humour. From witty observations to stories, he excels at finding fun in situations we relate to, such as the joys of bin night. Sometimes, he deftly misdirects us. Lulled into that relaxed amusement of a familiar kind of tale, there’s extra impact when suddenly he hits the audience with an unexpected punchline. 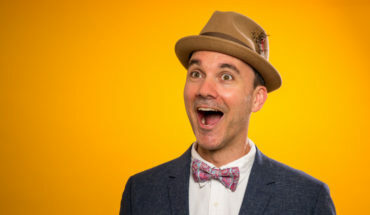 Words, laughter, mumbling, or even just a glance — he can use any of these to set the whole audience laughing. Yet he doesn’t even need to speak. Jimeoin’s face is like an owl’s. He can contort it and turn it into so many expressions, every one of them funny. Luckily, he doesn’t make as much use of visual humour this year, possibly because the back rows are far away. Jimeoin’s show flies by too fast. There was a full house on opening night, so I’m sure he’ll continue to pack them in. Craig Macbride would like to be able to write this review entirely with facial expressions, but doesn’t have Jimeoin’s talent. 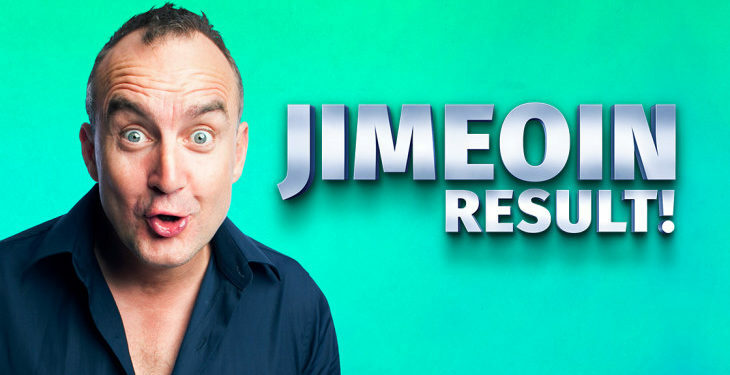 Jimeoin – Result! runs Tue-Sun until 21 April at the Athenaeum Theatre. Buy tickets now. 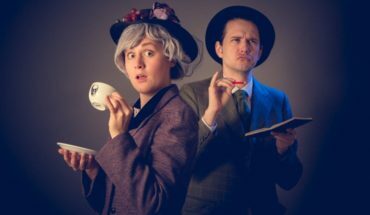 Check out our guide to the top shows, and all of our 2019 MICF coverage. Disclosure: The Plus Ones were invited guests of A-List.